In December of 2011 a letter was sent to the Administration of Big White resorts. Website: www.bigwhitesilverstar.com Corporate Head Office 1894 Ambrosi Road Kelowna. 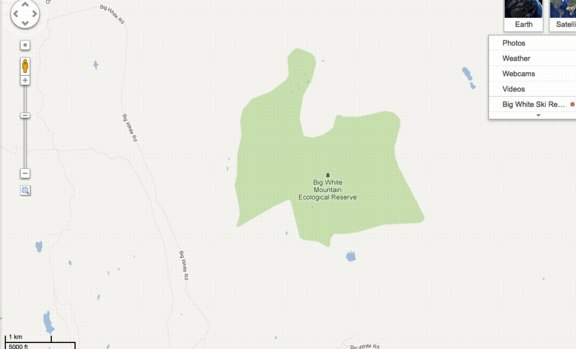 I indicated I was redoing the Big White part of the Friends of Ecological reserves website , and that I had some concerns for development overlapping in the ecological reserve as indicated in the plans carried on the website of their consultant at http://www.brentharley.com/the-master-plan/ (updated link Oct 2015) and wanted to get the facts correct before publication. 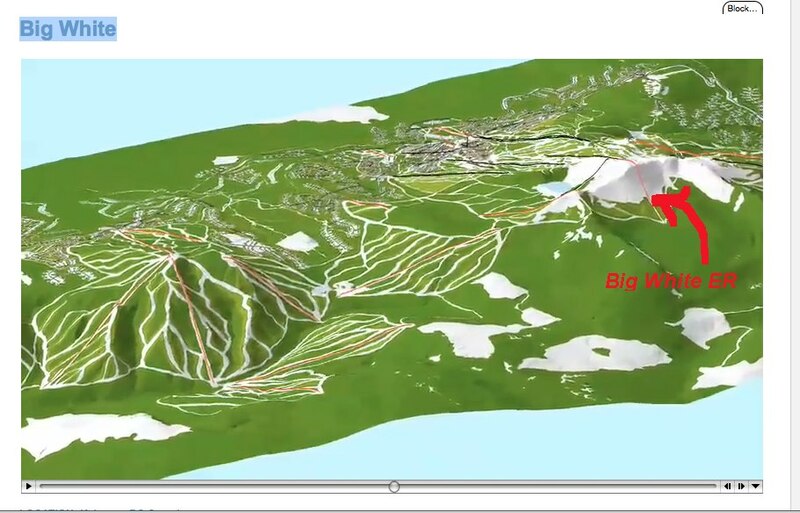 That request was forwarded to Paul Ploktis the VP of Real Estate and Development for Big White along with a clip from the panoramic view on the website which shows a serious incursion into the Ecological reserve by ski runs and even a tow lift. So what has happened between Minister Penner’s indication in February 2010 that no proposal had been received and the January indication that it “was being reviewed by the crown.” ? 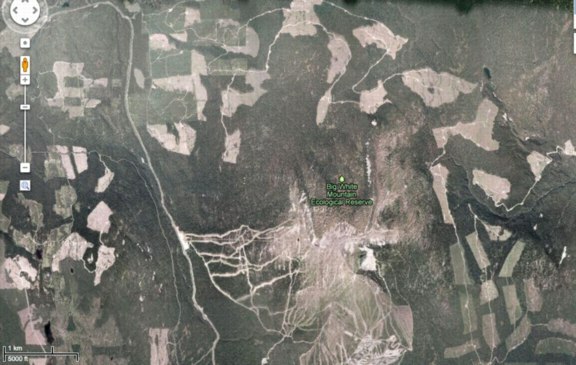 Below I have included two more maps from Google Earth at the same scale showing the extent of the ecological reserve and the present developed area.